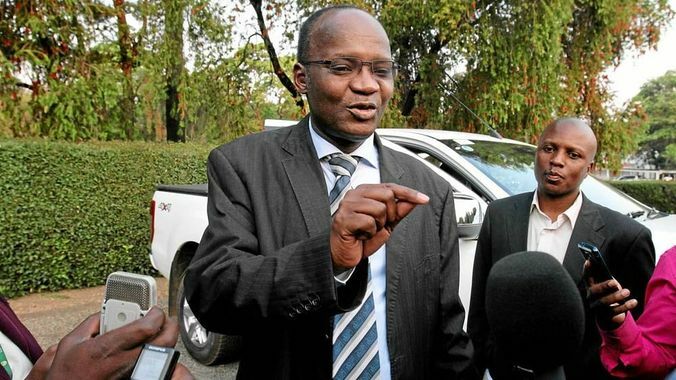 Exiled former G40 Kingpin Professor Jonathan Moyo has alleged that the bond notes were introduced the country after President Emmerson Mnangagwa let a team that brought the proposal to Cabinet. "The bondnote was introduced in Cabinet by Emmerson Mnangagwa, Patrick Chinamasa and John Mangudya in 2016," Moyo said. "Mnangagwa as justice minister who insisted the bondnote was legal, Chinamasa as finance minister who wanted the bondnote to manage the Treasury Bonds he was printing and Mangudya as Reserve Bank of Zimbabwe was running out of USDs." Professor further said those who supported the introduction of bond notes then should not support them now because they have failed. "Politics aside and rationally tweeting, those who supported the introduction of the bond note in 2016, me included but mainly Mnangagwa and Mangudya, have no rational basis for supporting it today. You can't continue a failed instrument on grounds that you supported its introduction." When pressed on why he was initially supportive of the introduction of bond notes, Moyo revealed that initially the cabinet had rejected the concept but Former President Mugabe invited Mangudya again to do a brilliant presentation. "That view was based on a brilliant presentation that Mangudya had made to Cabinet. That day, any economics or political economy lecturer would have given Mangudya an "A+" for the presentation he gave in support of the bond note. The fact that it turned out to be hot air is sad. "That was after they got the President's support and they were invited back. Mangudya's last presentation on the issue was good, as far as presentations go. It responded to a number of critical concerns that had been previously raised. President Mugabe might have coached Mangudya."